The most perfect child strikes again --- HE DID IT!!! He slept ALL night without hardly even moving! 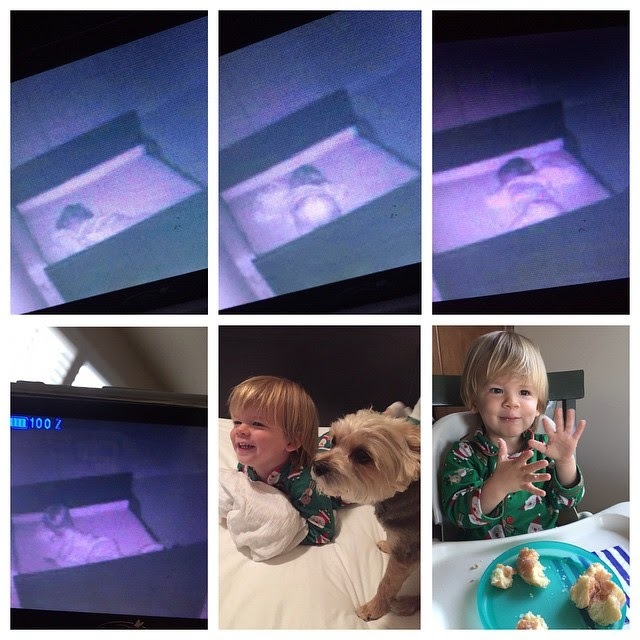 Trace was SO proud of himself when he woke and loved that Cali could jump in bed with him. Celebratory donuts for the soon to be big brother!